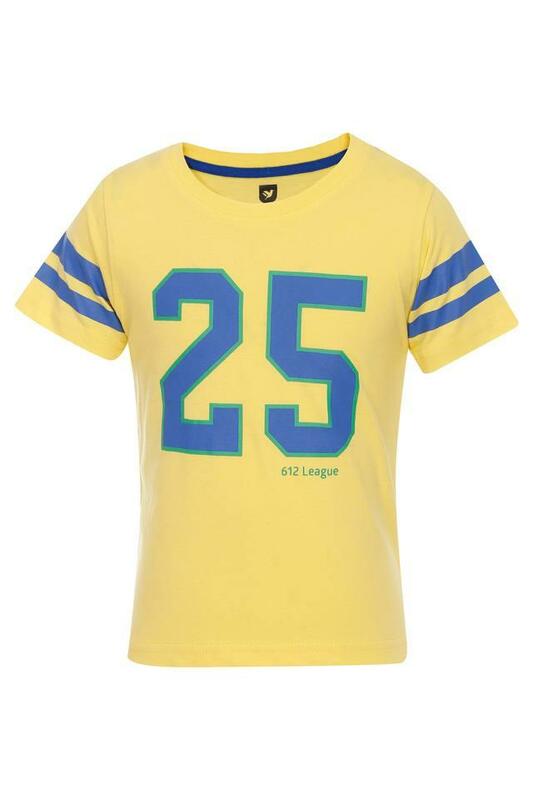 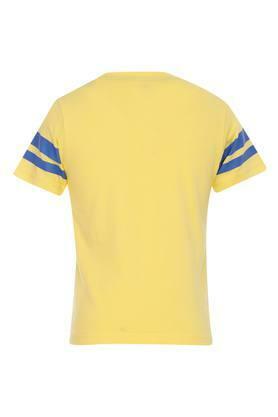 The modish design of this tee from 612 League is sure to enhance your little champ's cool quotient. Your kiddo will definitely love this round neck, half sleeves and good quality fabric tee, as it sports a printed pattern in. 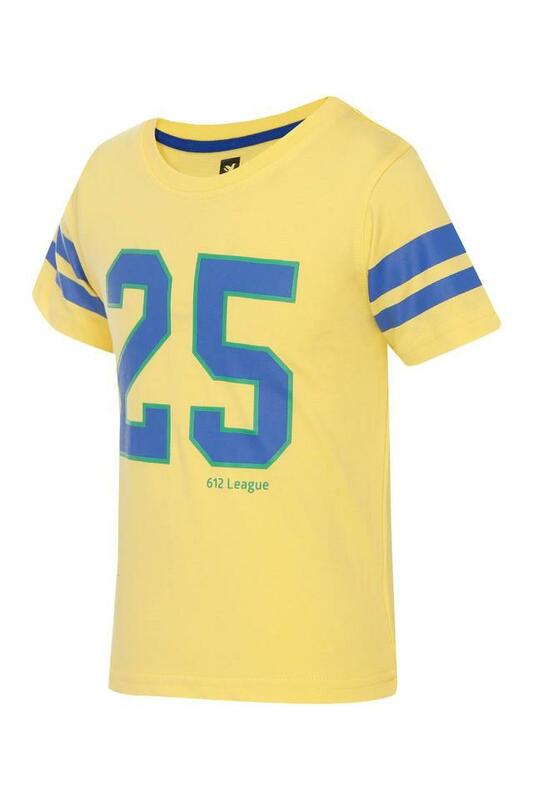 Spruce up the look of your little son to walk in style by making him wear this tee on any casual day out. It will look good with a pair of jeans and canvas sneakers.